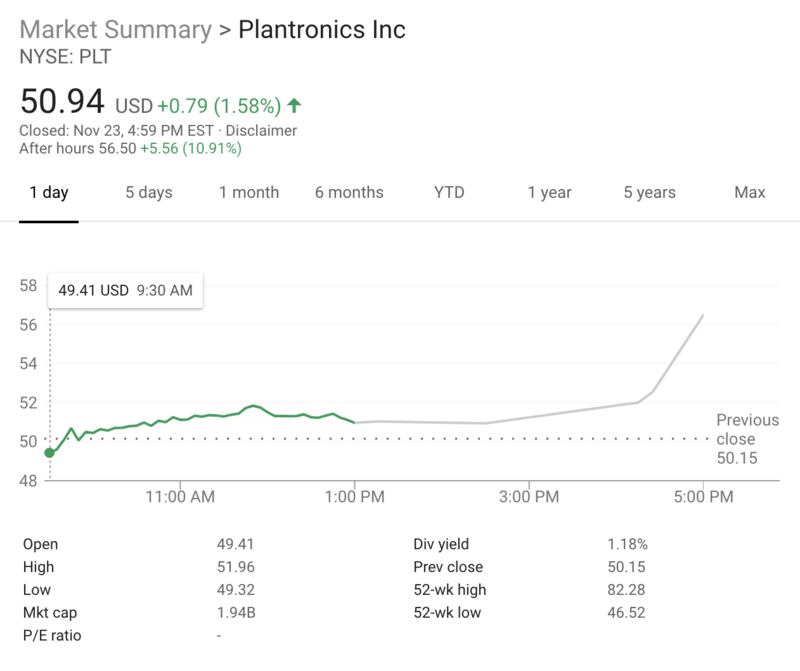 News of the deal sent Plantronics shares up in after-hours trading on the New York Stock Exchange. Meanwhile Santa Cruz, Calif.-based Plantronics bought Polycom in a $2 billion transaction earlier this year. The company, which started out making headsets for airline pilots and later sold equipment to the National Aeronautics and Space Administration, has struggled with low-cost competitors and new entrants into the headset market (like Apple).